As I appear to be the only one on Facebook with this religious notation, I thought I should explain briefly what I mean by it. In very brief and simple terms, because I really don’t have the patience or skills to be a true intellectual or philosopher(1), the way I understand the philosophy of Existentialism from the writing of Sartre, Camus, etc., is that when the individual faces the ultimate reality, usually in the form of some horrific, dark catastrophe then, and only then, can the individual accept life for what it is and take responsibility for one’s own existence. That seems a little bleak to me so I much prefer the Christian Existentialism from the writings of Soren Kierkegaard which is pretty much the same about confronting the ultimate horror of reality, but then while still relying on individual responsibility, the solution is for the individual to take that “leap of Faith” into the arms of a God of Love, the Savior Jesus Christ. This seems to comport very well with Nephi’s lament in 2 Nephi 4:17-35. But that is exactly what is required if we ever want to overcome evil. So, I continue my struggle to call on my Redeemer through the power of the Atonement to repent and have Him change my heart so that it is no longer bound by sin. That is what Nephi was doing in the Book of Mormon reference above. This conflict of good and evil and the power of the Atonement are very well set out in 2 Nephi 2. I am firmly committed to the Gospel of Jesus Christ and the covenants I have made as a member of the Church of Jesus Christ of Latter-Day Saints. I think a testimony or Faith is a lot like Love in marriage. It is a feeling based on and partly a result of commitment and covenant just like Love in marriage is more than a flickering emotion, but a deep and ultimate power of the soul, true passion, that comes from commitment and covenant to each other in spite of the challenges and conflicts of daily life. And as complex as life is, Faith, Love and all the rest, it all still comes down to basic principles as set out by the Lord himself in 3 Nephi. I could go on, but then you could just read the whole book yourself as well, which I strongly endorse and encourage. (1) Oh, and I shouldn’t have to point it out, but the “philosophies of men” I think the adversary is so much into promoting are those that involve the “arm of flesh,” i.e., money, religious fraud, war and violence. 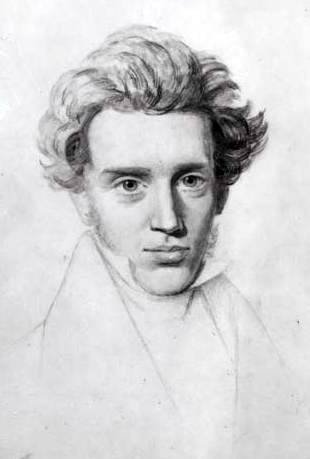 (2) Kierkegaard, Soren, Fear and Trembling (Peguin Books, New York. 1985) at 75. (3) Solzhenitsyn, Alexander, The Gulag Archipelalgo (Harper & Row, New York, 1973) at 168.